One hour News, but Nine at risk of mixed messages. 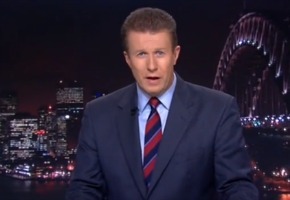 Nine’s primetime experimentation with a one hour News in Sydney is beginning to impact on other scheduling, and it risks confusing viewers. For all of this week Nine viewers in Sydney have been watching the 60 minute bulletin with Peter Overton, presumably to test the waters on whether it is a viable permanent option. It does so having won the year in the ferocious 6pm news battle. It has to be asked: if it ain’t broke, why fix it? But the answer may lay in lower audience numbers later in the evening and a bit of a dearth of solid 8:30 shows from US outputs. If Nine can push back A Current Affair to 7pm and its Reality shows The Block, The Voice, Big Brother to 7:30pm starts next year, then it can help push the problem back to 9 or 9:30pm. So far its one hour bulletin has been working, with the extra 30 minutes beating Today Tonight in Sydney. But it’s early days. Whether viewers will stick with 1 hour if the material is not compelling enough is another, long term question. The move is also impacting on other programming. Nine hasn’t been screening their 7pm bulletin on GEM this week. While Seven is sticking with its 7TWO bulletin at 7pm, Nine appears to be an “on / off” affair. But ACA isn’t at 7pm in Melbourne, Brisbane, Adelaide and Perth. Is Nine suggesting Sydney viewers are its priority? Last night Sydney viewers watched Ed being evicted from the Big Brother “live eviction” show thirty minutes after Melbourne viewers saw it happen (other states already know how that feels). So far there was limited reaction on social media, but if it continues into next week, Nine may well cop a backlash. Nine can’t risk the winner being announced on social media by Melbourne BB fans. Brisbane media has previously questioned why Queensland viewers must watch the finale delayed when it’s filmed in their own state, due to Daylight Saving changes. Last week Survivor fans were also less generous about a late decision to start the show on GO! at 8pm instead of its usual 8:30pm. Many of them missed half the show, according to their Twitter feedback. So what, exactly, does Nine have scheduled for next week? Nine’s own Access site, in which media log on to refer to schedules, doesn’t even have Nine News scheduled for an hour this week, let alone next week. But the NineMSN-owned TV Guide does. Next week both currently list Big Brother as a 7pm show for the big eviction shows on Monday and Wednesday (finale) in Sydney. TV Tonight understands it’s still an ongoing discussion. Given the GEM bulletin is still nowhere to be seen in schedules it’s fair to say the current state of play is a bit of dog’s breakfast …. or as its replacement might suggest, even an Antiques Roadshow. iv always considered chanel 9 to be part of my team such as Parramatta,nsw blues, aussie cricket team.i watch 9 news and today when im home but. I do have a complaint.1st, how much news do you think someone can watch in an afternoon/night ,4hours realy !! !.wheres the entertainment and shows kids can watch? 2nd, before big brother started you were replaying the big bang theory shows for 2 hours a night. night after night,again where is the entertainment.i think it is very lazy programing.what, you don’t have anything else in the vault to put on tv.